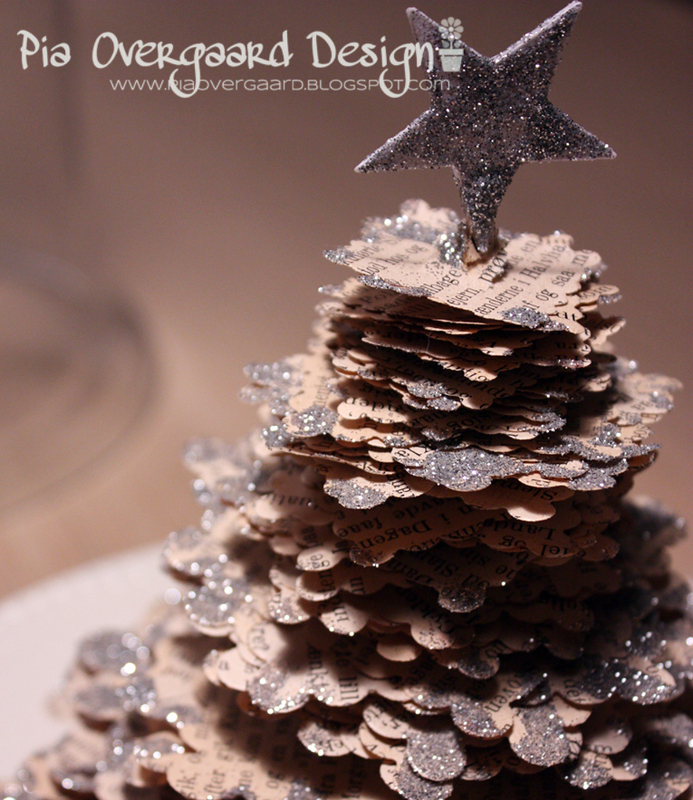 I saw this kind of x-mas tree on Pinterest made of old textpaper and I just had to try it out. Mine turned out a bit different in shape and size. I didn't have a pair of zig zag scissors - so I made a quick shortcut and die cut the textpapers using a scalloped square nestabilities. I was able to cut many many layers at a time - so it was really quick!! I punched the star using a Fiskars star punch and covered it with glitter as well as the edges of the tree. I poked the wooden skewer into a tea light in order to lift the tree a bit... It worked out quite well. And it ended up in the window sill together with the JUL (Danish for Xmas) letters which I bought in NYC a couple of years ago. 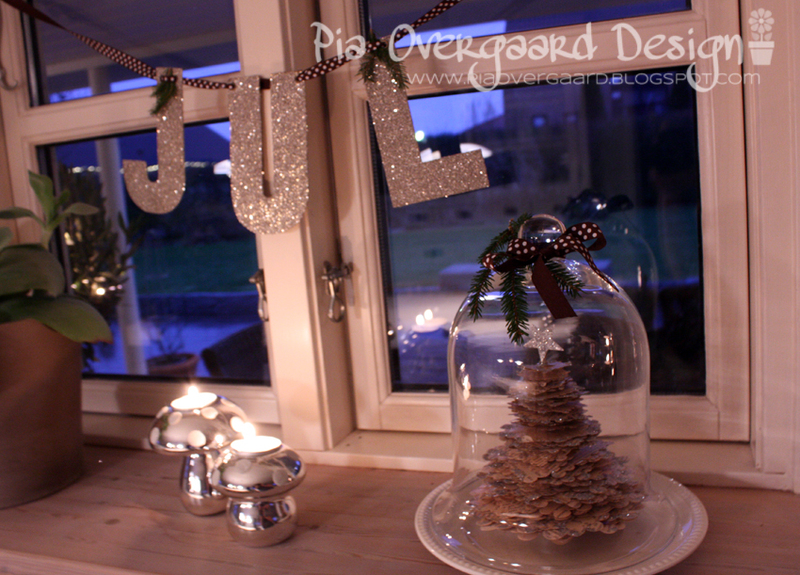 I also wanted to share with you the simple Xmas decor in my kitchen - I used the same branch from Halloween (red berries) and just added some x-mas mugs, red glass, a silver tree and a wreath of red berries (one of my favorite Xmas decor from Marks & Spencers in London). The star hanging on my porch is from this year's trip to Berlin ( it has been on my wishlist for quite some time and I found it in a department store in Berlin - yay!). It is a German product called Herrnhuter Sterne and it is perfect for the outdoor. It really had a bad start here during the two recent storms - they were ripped off their installation - but luckily without further damage. Not very Xmassy - I shared this on FB, too! I made some new cat residents for Fiona & Harry Potter's eating place - Silhouette Shapes (hero arts black cat) - out of vinyl! I just love this snapshot, where Harry Potter is checking them out for the first time! There is still, time, huh! Jeg er heller ikke helt klar til julen endnu, har endnu to arbejdsdage, så der er jo tid nok hehe..
Hi Pia! Love your paper tree, and it's displayed beautifully under that bell jar! Merry Christmas to you! 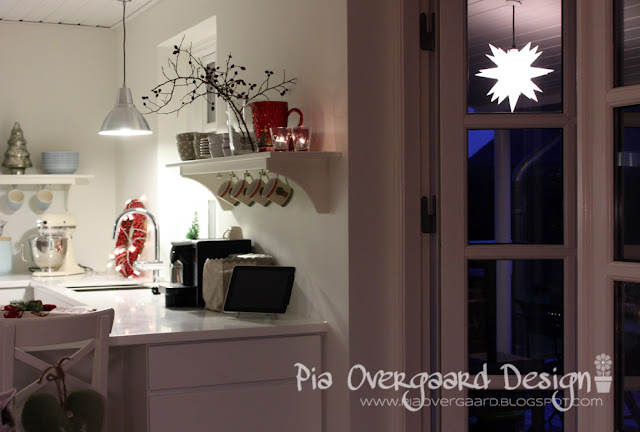 I love your style, Pia! The layered paper tree turned out so beautifully, it looks fabulous under glass! 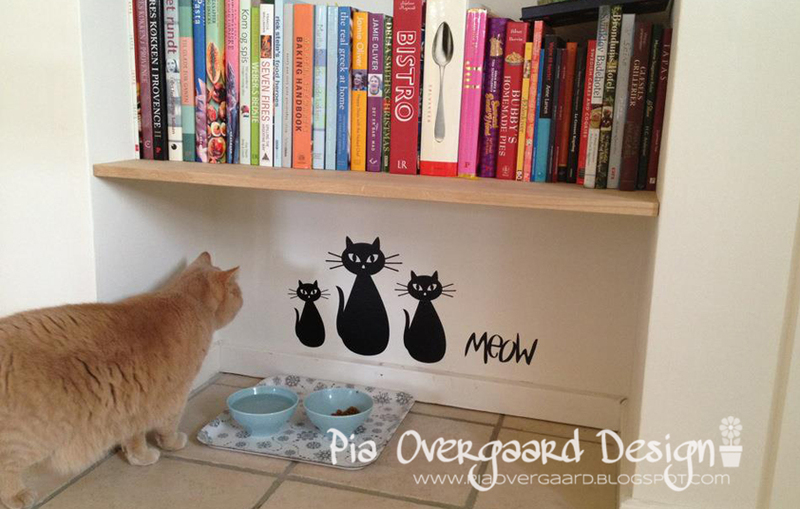 Love the little kitty nook too, so clever! Thanks so much for sharing your lovely Christmas decorations. Christmas blessings to you and Jan! Et rigtig fint juletræ du har lavet. De glimmer bogstaver er jeg helt vild med. Hvor har du det fint og smukt allevegne og selv hos kattene er der nyt og fint. SKØN ide - men godt Harry Potter ikke gik helt fra kosten af bar skræk over de 3 uventede middagsgæster. =0) Håber I havde en dejlig jul - og TAK for i år til dig fra mig. Pia that tree is really amazing! Wish I saw that earlier! But I am saving the idea for next year!!!! Harry Potter is one lucky cat!!! Happy new year!